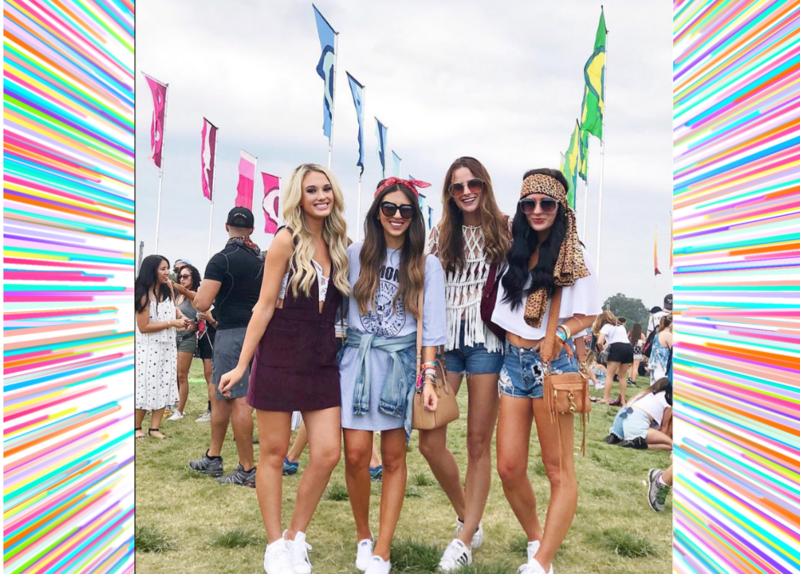 ACL fashion is one of the best parts of going to the Austin City Limits Music Festival. The ACL Music Festival is one of the biggest Austin events! Make sure you’re prepared for whatever weather comes your way with our ACL Fashion round-up! It’s pretty much always hot at the Austin City Limits festival. So you should definitely keep your ACL fashion on the lighter side! A lot of people take this to mean the less clothes the better! But keep in mind, if your skin is exposed, you’re likely to get sunburned. A much better choice is a t-shirt or tank top, shorts and lots of sunscreen! A hat is also a must to protect your noggin from the piercing sun! After a few days of thousands of people tramping across it, the field at Zilker can turn into a dustbowl. That’s why an essential piece of ACL Fashion is a bandanna! You can pull it over your nose and mouth when the dust gets bad. It’s also great to cool yourself down with. Just douse your bandanna with water and tie it around your neck for a refreshing treat! If it rains, you don’t get dust, you get mud! Be prepared by making rain boots or cowboy boots your ACL fashion choice. After all, no one wants to walk around barefoot after losing a flip flop in the mud! One thing you can pile on at the festival is accessories! Lots of jewelry is totally in keeping with the boho style that’s a staple of ACL Fashion. Sunglasses, of course, are always a must too! When someone brings up going for a @pedego ride in #Austin, just say yes! Occasionally the weather does get cooler and you can make PANTS part of your ACL Fashion! In this case, it’s best to dress in layers, as a day can start out chilly, but heat up as the sun makes an appearance. A hoodie or sweater that is easy to tie around your waist is a great choice! Ready to rock out in Austin on a permanent basis? Our apartment locator services make it easy to call Austin home! YES! Find Me My New Austin Apartment!